It is possible in AVL.NET to edit geometrical primitives the same way as in Adaptive Vision Studio. All that need to be done is to reference the Avl.NET.Designers.dll and Avl.Net.Amr.dllassemblies. Appropriate classes are declared in AvlNet.Designers namespace. Designer usage in AVL.NET is almost the same as of .NET dialogs. Each designer class exposes at least a public property of the type it is designed to edit and a public ShowDialog() method which returns a DialogResult enumeration. 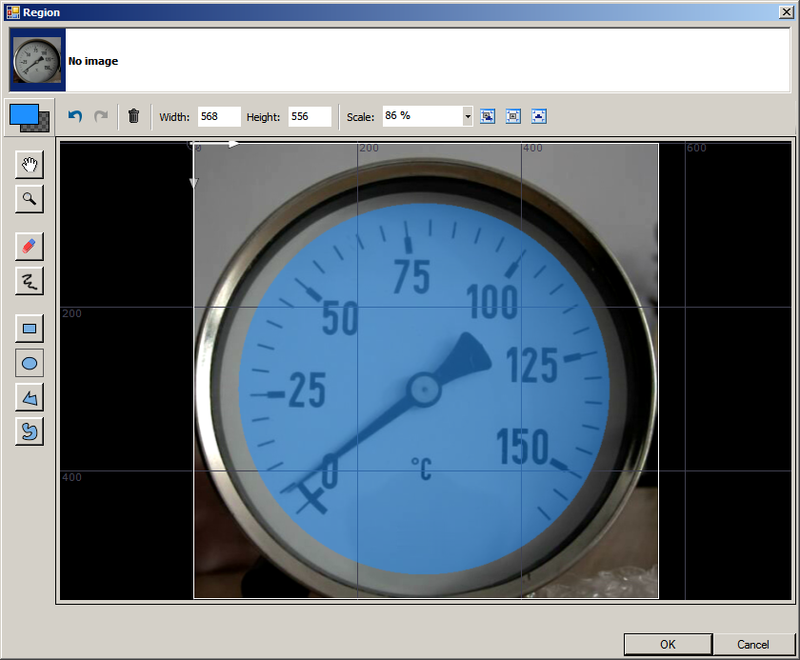 The following example is a part of the simple image thresholding application that allows to threshold an image within the user-defined ROI which can be defined with RegionDesigner. The complete source code can be found here. 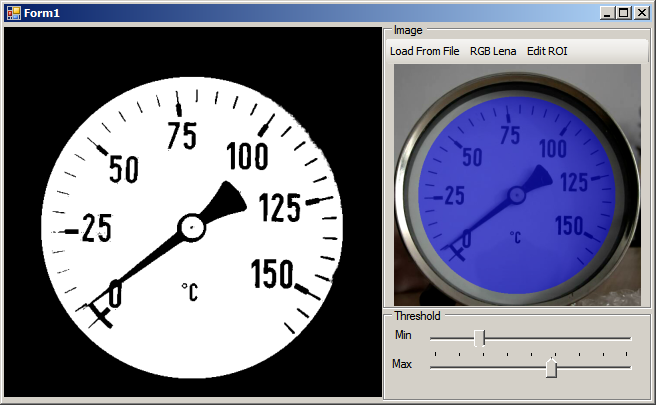 /// Performs image thresholding either in defined ROI or of a cropped image. /// Opens a RegionDesigner to edit a ROI within which an image will be thresholded.